JEFFERSON CITY – Leroy Poire was stationed at the Bikini Atoll and witnessed to atomic bomb tests in 1946. 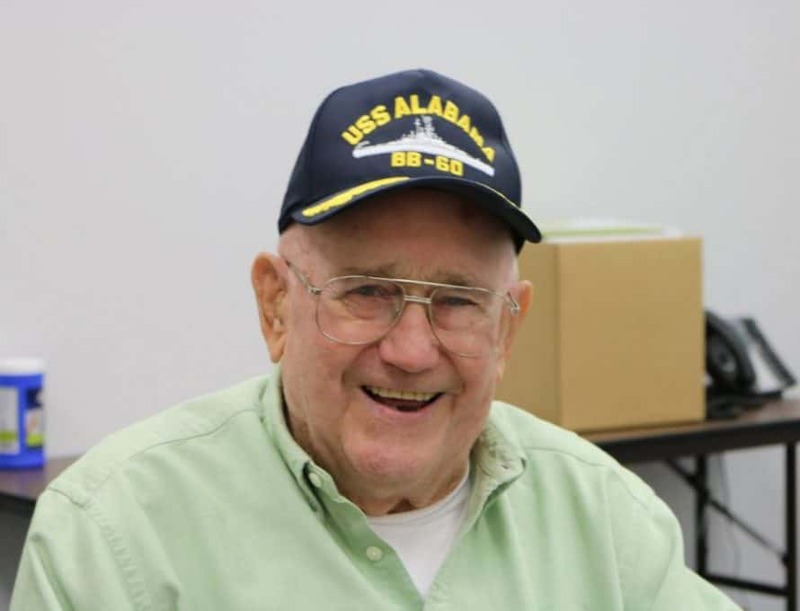 JEFFERSON CITY – Leroy Poire enlisted in the Navy on Oct. 31, 1945. But even though World War II officially ended two days after he joined up, don’t think that young farm boy from Hale, Mo., didn’t see a thing or two during his time in the service. He would be on active duty for only one year, but few eyes have seen what Poire witnessed during his short time stationed in the Pacific: not one, but two nuclear blasts. At 90 years old, the member of Concord Baptist Church, Jefferson City, still remembers how he felt when he realized he was the last one left in the Pearl Harbor barracks without an assignment. Poire’s brother, Delbert, also in the Navy, had convinced his commanding officers on the USS PGM-32 – a small motor gun boat – that they needed to pull the younger Poire in for their mission. Their destination was the Bikini Atoll, a tiny ring of islands about halfway between Hawaii and the Philippines. Their mission? Support the testing of atomic bombs, the new and terrible weapons that had ended the war with Japan mere months prior. Though the United States had successfully used two nuclear weapons to hasten the war’s end in the Pacific, military leaders already sensed that this new world of weaponry would produce an arms race, and were desperate to develop, expand and study the technology. The experiments in 1946 were dubbed “Operation Crossroads,” unknowingly paving the way for decades of tension with the Soviets and the Cold War. The first test was Able, dropped from a B-29 Superfortress July 1, 1946. It detonated 520 feet above a target fleet of 60 dummy ships, some containing live pigs and rats for testing. The second test, held three weeks later on July 25, was Baker. This time, the bomb was detonated 90 feet under water. Poire was and the rest of the 65-man crew of PGM-32 were 11 miles from ground zero when the first bomb was detonated. The young man from Missouri doesn’t remember any audible boom from the explosion, but does remember feeling the shockwave and seeing the aftermath. “I remember looking at the mushroom cloud rise into the air and thinking that it would eventually cover us up,” he said. It didn’t, of course, and it was Poire’s time to swing into action. The crew was evacuated to another ship and the remaining men were on short shifts to minimize exposure. “It just kept going,” he said, describing the dome of water that boiled from the ocean. Again, Poire and his crewmates inspected the damage. Since this bomb had caused a dome of water to fall on nearly all the target fleet after the blast, the radioactive contamination was much more severe. After the testing, Poire left the Bikini Atoll and sailed for San Diego. He was discharged in August of 1946, after less than one year in the Navy (though he committed to the reserves for another five years). Looking back, Poire is very casual about describing the tests. Perhaps it’s because he was relieved to never have to be in combat, but he said that even as he watched the mushroom clouds grow, he was never afraid. He returned to Missouri, to the farm and to his sweetheart, Marjorie. They were married in 1947, and he began work in construction. They moved to Jefferson City in 1969, and were charter members of Concord Baptist Church, where they and many of their extended family still worship. “God has been good to me,” Poire said.